The Vikings have conquered Hollywood and are now returning home to Norway. Join us and meet the Vikings! The tour start from Strandkaien 61 (right next to the Tourist Information in Stavanger). Please meet 15 minutes before departure. 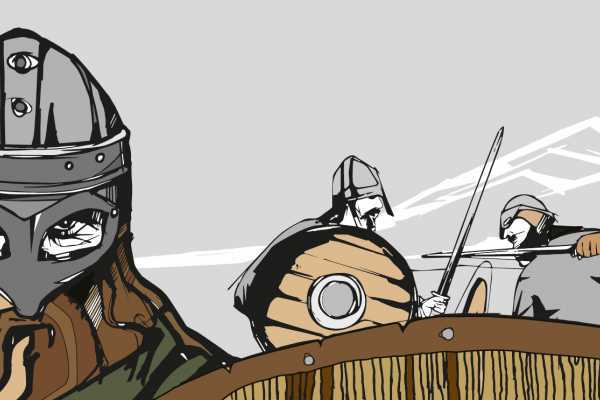 Met by the Viking guide, who wears typical clothing from the Viking age, you will be led aboard – The Viking bus, which will be decorated, visualizing fearless Vikings battling and raiding. To get the true Viking experience, you are during the tour, offered to wear a Viking helmet. The tour includes stops at The Three Swords Monument, where many brutal battles took place as well as several other historical locations of great importance. Explore the longhouses at the Iron Age Farm, while the lady of the house demonstrates the daily chores from 1500 years ago. The tour ends back in Stavanger city where you will have the possibility to visit the Viking Voyages exhibition at the Museum of Archaeology, University of Stavanger, free of charge. Complimentary tea or coffee will be served at the Museum of Archaeology, UiS. You will receive your very own Viking Diploma and call yourself a true Viking!